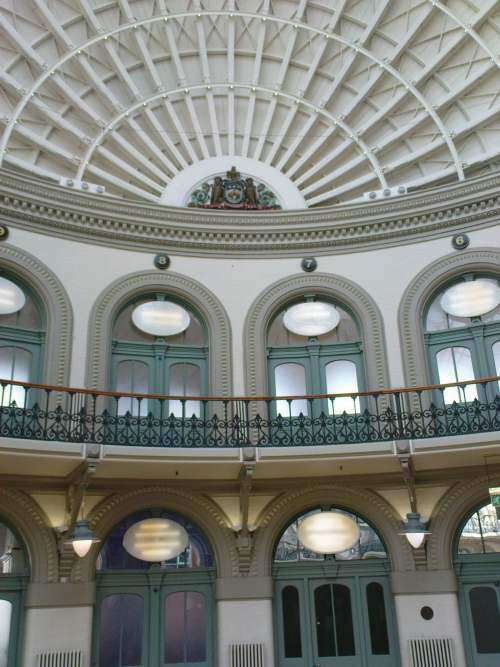 The redevelopment of the Leeds Corn Exchange into a world-class food retailing space appears to be floundering badly. The plan was to move the independent retailers and assorted Goths, Emos, etc on and transform the building into a ‘food emporium’ with food and food associated retailers taking up the units. Anthony Flinn has taken the entire basement and will open a restaurant, bakery and patisserie there in November, but at the moment, he’s the only tenant. Ark and Grin are hanging on upstairs, but the building is essentially empty. Excuses offered to the Evening Post range from astronomical rent through to nervousness about an unproven location and the credit crunch. The rent does seem very high, and there’s no doubt that these are bad times to be expanding or opening a business, but the location is prime, and whilst it hasn’t been proven as a food retailing destination, it’s certainly a destination in itself, and this must guarantee some level of footfall. Despite the problems, this remains a great concept for a superb building. Where are the Goths going to go, though?